Maybe you’ve wanted to be in the Air Force since you were a kid. Maybe you’re looking for a way to pay for college. Or maybe you want to do something meaningful. Whatever brings you to Air Force ROTC, you benefit from it all. Scholarships and financial incentives. Camaraderie unique to cadet life. Careers for a promising future. And leadership skills that will serve you throughout your life. Apply for a scholarship in high school, or compete for in-college scholarships. 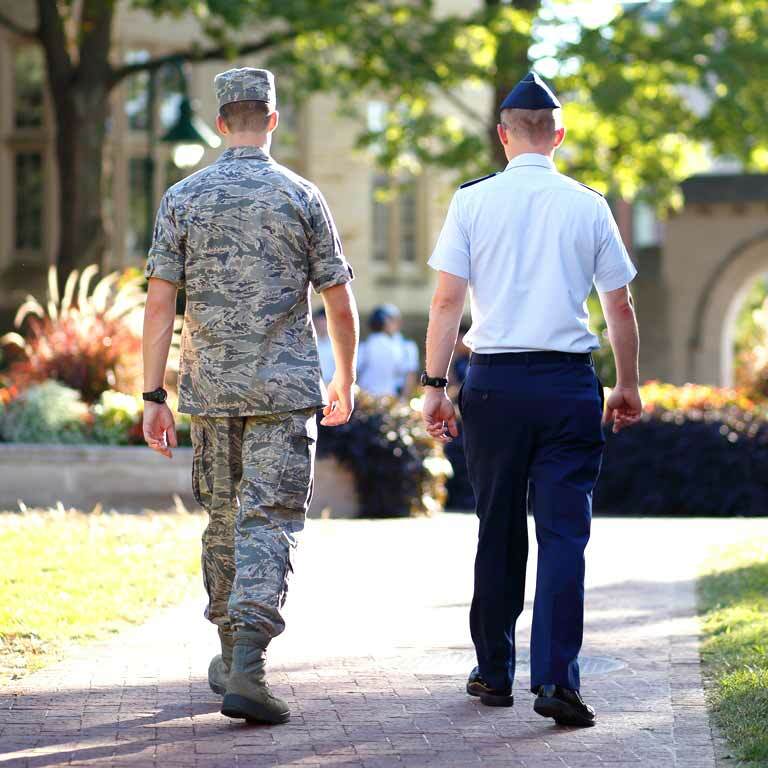 Each semester, scholarship recipients have all of their in-state tuition and fees covered by the Air Force—and receive extra spending money. Scholarship and contracted cadets receive a monthly living expense stipend during the academic year—$300 for freshmen, $350 for sophomores, $450 for juniors, and $500 for seniors. High school scholarship recipients’ travel costs from their home to the detachment will be covered one time at the beginning of freshman year. Our detachment is smaller than what you might expect at a Big Ten university—and we’re proud of it. Because of our excellent cadet-to-cadre ratio, we can give you more individualized attention and mentorship. From career guidance to real-world military experiences, you can count on the cadre to help you become the best version of yourself. Cadet benefits are only the beginning. 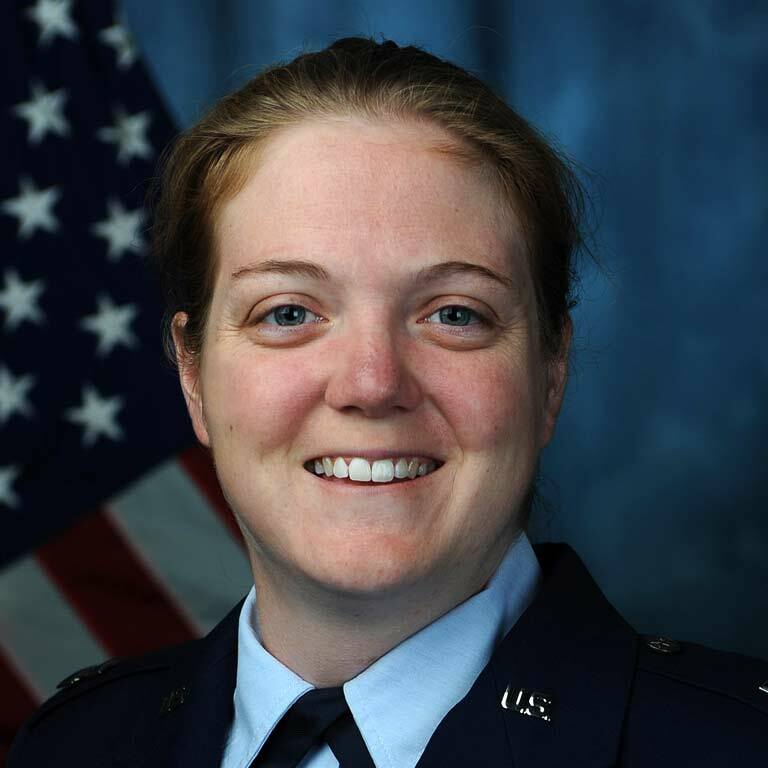 As an officer in the Air Force, you enjoy unbeatable benefits—from a competitive salary and regular pay raises to 30 days of vacation each year to tuition assistance for grad school. The Air Force offers great work-life balance. I get vacation, benefits for my family, and I’ve traveled the world—I lived in Japan and deployed. And the best part is I get to do something that makes me proud.